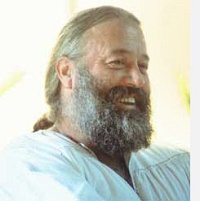 The teachings of Self-realization that Sunburst offers are based upon the universal lineage of Paramahansa Yogananda and his direct disciple, founder Norman Paulsen, as well as the living guidance of the Christ consciousness Jesus exemplifies unceasingly. These great souls are active in these teachings today, as are many others from the living presence of I Am That I Am. 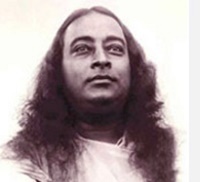 Paramahansa Yogananda, author of the spiritual classic, Autobiography of a Yogi, was born in India in 1893. He came to America in 1920 with the intention to spread the message of Kriya Yoga in the West. His teachers instructed him that the sacred science of Kriya Yoga meditation would ultimately spread throughout all lands, and aid in harmonizing the nations through man’s personal, transcendent perception of the Infinite One. There was genuine interest in his unique presence and the power of his magnetic personality. His indomitable will and all-encompassing love were felt by all. He came to America alone, into a wilderness without a single friend, but found thousands ready to receive the timeless soul-teachings. Yogananda founded the worldwide organization Self-Realization Fellowship (SRF) and Church of All Religions, headquartered in Los Angeles. He also believed that an urgent need on this war-torn earth was the founding, on a spiritual basis, of numerous world-brotherhood colonies. “Remember, you are equipped atomically, molecularly, cellularly, right within your own body, now at this very moment, to fully experience cosmic consciousness, divine illumination, oneness with God. You don’t have to go anywhere; it’s all right within you. The whole creation is right within you. How can you see it? Norman Paulsen, compelled by his inborn desire to bear witness that God is alive and can be felt, known and seen face to face, consciously entered this world on February 3, 1929 in Santa Barbara, California. From his earliest childhood, he felt the presence of Spirit within him and hovering around him. When he learned that a man named Moses had once seen God face to face, Norman’s search for God began. As a young man, his inner quest led him to an enlightened teacher Paramahansa Yogananda, founder of Self-Realization Fellowship. Here, Norman spent several years in the monastery. He learned the daily devotional practice of the techniques of Kriya Yoga meditation that he carried with him throughout his life. It was at this time that he was given the vision and inspiration that would lead to the founding of Sunburst. After Norman left the monastery in 1951, he had a series of illuminating experiences culminating in a journey into cosmic consciousness – a face to face meeting with the ineffable light of God, merging with the eternal Divine Presence. Through the inspiration of this transformational encounter came his lifelong desire to share the realization of the infinite joy and love of Spirit with all. It was and still is his mission to convey the possibility of this journey for every seeking soul. Looking for ways to make big changes in your health, energy, and outlook on life? Treat yourself to inner discovery and the joy of quietness at this powerful group silent retreat. Yoga, guided walking and sitting meditations, practical take-home mindfulness tools, and more amid nature’s beauty. ​​​​​​​Sliding scale donation: $175 - $250, plus lodging/camping. Do you crave a greater connection with the earth? Co-create with nature through a hands-on permaculture workshop about soil-building, composting, and seeding. Enjoy: Wheel of Life gathering, yoga and guided meditation, drum circle, home-cooked meals, and children’s activities throughout. Do you feel a calling to advance and deepen your Kriya practice? At this in-depth retreat, through breath, movement, study and meditation: Receive the second initiation of Kriya Yoga as a powerful tool for awakening. Activate the healing power of your chakras. Discover ways you can help consciousness to evolve, both personally and globally. Infuse your daily actions with Spirit as you live, work, and meditate in cooperative community. Help caretake the retreat center with varied activities such as cooking, gardening, cleaning, upkeep, and more. For suggested donation and details, or additional 2018 dates, call or email the office. Call us today at 805-736-6528 or email contactus@sunburst.org. Check out more of our Upcoming Spiritual Retreats & Programs.